Netflix’s The Haunting of Hill House, released on 12 October, has made headlines everywhere for being the scariest thing released during this spooky season just passed (one notorious jump scare was so frightening that some viewers said it made them vomit). What stayed with me long after I finished the series wasn’t the horror, though (although, like everyone else, I did get a bit anxious that I’d wake in the middle of the night to see Bent Neck Lady looming over me). Instead, what I couldn’t shake after binge-watching the ten-episode series was its handling of mental health and trauma. Now, I’m fully aware that this isn’t a new or original observation – the cast have spoken excessively about the show being allegorical for mental illness, and many think pieces have observed that the show’s characters represent the stages of grief. As someone that suffers from bipolar disorder, what struck me the most about the show’s treatment of mental illness was how effectively it handled the issue of being “the burden”. In first episode, we see the eldest siblings, Steve and Shirley, ignoring calls from Nell, who it is quite clear has become irksome to them. Although viewers are made immediately aware that Nell is in crisis – something that both Steve and Shirley know and ignore – they play a kind of pass-the-parcel with their younger sister, irritably trying to avoid being the one to have to “handle” her. Then comes Luke, Nell’s depressed and substance-abusing twin who captured the hearts and sympathy of viewers everywhere but was met with borderline disdain from his older siblings. Nell is depressed and traumatised, and Luke is depressed and addicted; despite these characters easily being the most popular and sympathetic with viewers, it’s obvious that their older siblings find them burdensome. The only sympathy either twin receives is from the other – something they call the “twin thing”. For viewers who have suffered from a mental health condition themselves, however, the “twin thing” is a thinly-veiled metaphor for something else entirely: the “mentally ill thing”. Throughout the years, I’ve been on the receiving end of “empathy fatigue” from loved ones more times than I can count on ten hands. Watching Nell’s frantic phone calls to family members – and then watching those calls be ignored – was genuinely traumatic to watch, as was the quips from Steve to Luke about how it’s inevitable that his younger brother will relapse again. When Nell dies by suicide, the older siblings seem shocked and angry that Nell didn’t feel she could reach out to them, something that most level-headed viewers found incredulous considering that she attempted to do exactly that, only to be ignored. What’s even worse is that despite losing their youngest sibling to suicide, their dismissive attitude towards Luke continues to persist; at literally no point whatsoever do the older siblings consider that their attitude towards Nell contributed to her death, and that it may well contribute to Luke’s if they don’t reconsider. The “shock, anger and desire to change” response is reflected everywhere in the media and in our personal lives. It’s then followed up by no substantive change being made, and mental health being shoved onto the back-burner until another tragedy strikes. A lot of the friends I’ve made in adult life also suffer from mental health conditions – I’d go as far as to say that perhaps we attract each other, and these friendships are borne out of mutual understanding and sympathy; it is, essentially, like a “twin thing”. I’d go as far as to say that a lot of “neurotypical” people (as in, people who don’t suffer from a mental health problem), tend to sympathise with us only up until the point that we become difficult to handle or understand. The same people who have distanced themselves from me when I’ve become “too much” are oftentimes the same people who post on social media about the importance of “being there” for their mentally ill friends after a celebrity has killed themselves. A quick referral to an NHS helpline is often endorsed, rather than the more effective effort of actually being there for your loved ones. 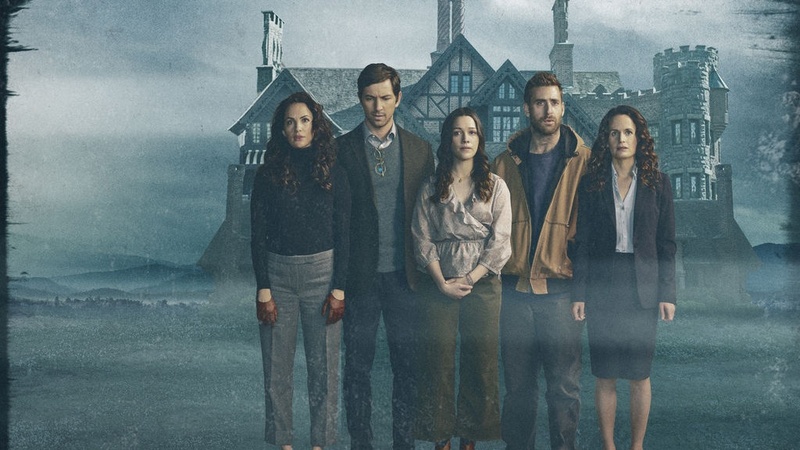 The Haunting of Hill House has been a resounding success for many reasons – its horror, its acting, its direction. What’s most deserved about its success, though, is its handling of mental health: to me, if anything, the show is a plea for people treat each other better before it’s too late.